Susan Maguire is a historical archaeologist whose research focuses on military sites, archaeological landscapes, borders and frontiers, and issues of identity, particularly national identity. 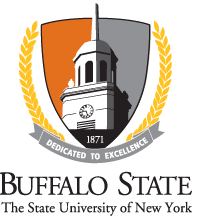 She directs the biannual Buffalo State College Archaeological Field School at Old Fort Niagara in Youngstown, N.Y. and also serves as the Editor for the peer-reviewed journal, Northeast Historical Archaeology. In addition to her work at Old Fort Niagara, Maguire has conducted extensive fieldwork on the ancient Maya throughout Southern Mexico and Central America.